This landmark presentation at last makes heard the centuries of Zen's female voices. 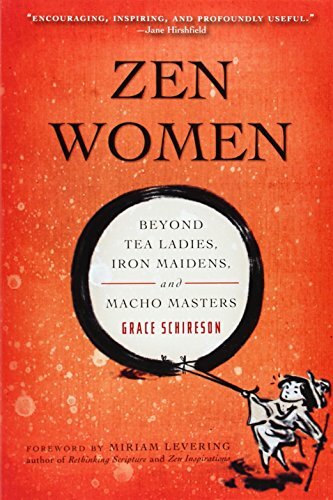 Through exploring the teachings and history of Zen's female ancestors, from the time of the Buddha to ancient and modern female masters in China, Korea, and Japan, Grace Schireson offers us a view of a more balanced Dharma practice, one that is especially applicable to our complex lives, embedded as they are in webs of family relations and responsibilities, and the challenges of love and work. Part I of this book describes female practitioners as they are portrayed in the classic literature of "Patriarchs' Zen"-often as "tea-ladies," bit players in the drama of male students' enlightenments; as "iron maidens," tough-as-nails women always jousting with their male counterparts; or women who themselves become "macho masters," teaching the same Patriarchs' Zen as the men do. Part II of this book presents a different view-a view of how women Zen masters entered Zen practice and how they embodied and taught Zen uniquely as women. This section examines many urgent and illuminating questions about our Zen grandmothers: How did it affect them to be taught by men? What did they feel as they trying to fit into this male practice environment, and how did their Zen training help them with their feelings? How did their lives and relationships differ from that of their male teachers? How did they express the Dharma in their own way for other female students? How was their teaching consistently different from that of male ancestors? And then part III explores how women's practice provides flexible and pragmatic solutions to issues arising in contemporary Western Zen centers.